Both teams scored one try each but the French team kicked four penalties to Leicester’s three to earn the victory. 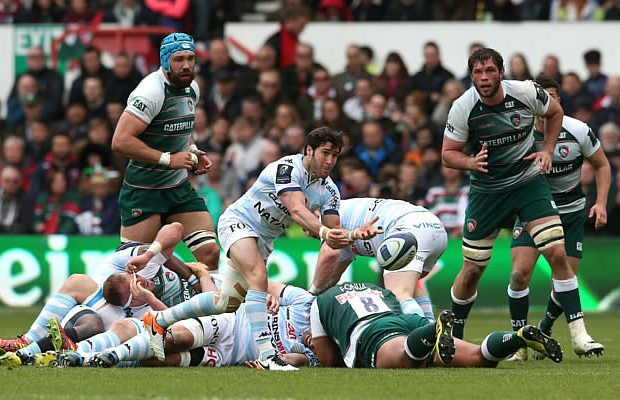 Racing will face English Premiership Champions Saracens in the final on May 14 in Lyon. The result means the French club that only returned to the Top 14 in 2009 Racing will get the chance to avenge their home quarter-final defeat by Saracens last season. It also means that European Rugby will have a new chamopion’s name etched on to the trophy as neither team has won it before. The Tigers had roared into the semi-finals with a six try demolition of another Parisian side, Stade Francais, and were hoping to reach a record equalling sixth final. 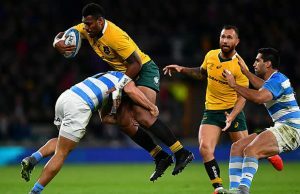 But they were hit for six by a third minute try from Racing skipper Maxime Machenaud and the French side’s tough as teak defence did the rest of the damage. Machenaud struck after a brilliant break from former All Black wing Joe Rokocoko and the little scrum half, later named as the Heineken Man of the Match, sniped his way over from two metres out. Dan Crater added the conversion and Racing were off to a flyer. Racing stifled the Tigers in the first half and, with a handling error count that rose to 14 before the end of the game, the two-time former champions were often the architects of their own downfall. The lead grew to 10 points when Carter added a second penalty midway through first-half and it could have been greater had Johan Goosen been on target with a 50+ metre penalty and Carter not sliced a drop goal attempt. Freddie Burns finally notched the fist points for the Tigers after 28 minutes, but then the Leicester playmaker had to leave the field with an ankle injury. That brought Owen Williams onto the field and the young Welshman held his nerve to land a 40 metre penalty with his first action on the pitch when he came on. He added a second penalty before the break, but when Dom Barrow was caught holding onto the ball at the break down in front of his posts on the stroke of half-time, Carter kicked another goal to make it 13-6 at the break. The Tigers scrum picked up five penalties at the set-piece and three minutes after the break the front five created another shot at goal for Williams and he cut the gap to four points. Now it was anyone’s game and a Carter penalty on 50 minutes, this time against Dan Cole in the Tigers front row, eased the nerves of the Racing fans. It looked as though the French side were going to move even further ahead on the hour when they broke up the narrow side of a scrum on half way and then swung the ball wide for Johan Goosen to cross for what would have been a wonderful score. But Nigel Owens asked the TMO to check the original pass from the outstanding Racing No 8 Chris Masoe to his scrum half and the verdict was that it was a forward pass. The Tigers breather a huge sigh of relief, but when they coughed up an obstruction penalty on 73 minutes they could only look on in amazement as Goosen sent a 49 metre penalty flying through the posts. That made it a 10 point lead and Racing thought they should have had another more points four minutes later. As the Tigers attacked on half way, Racing’s Puma wing Juan Imhoff raced in for an interception and appeared to knock-on a pass between two Leicester players. Imhoff gathered the loose ball and would have reached the line, but the referee blew up. The Tigers fans wanted a yellow card but, after a TMO review, it because obvious that Imhoff had not touched the ball. 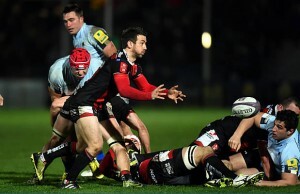 Owens apologised for his error and the game remained in the balance. The Tigers finally got a try in the last minute of the game, Adam Thompstone handing inside to Telusa Veainu to score. Williams banged over the wide-angled conversion and the Tigers had one final shot at victory from the re-start. They tried to run out of their 22, but eventually they conceded a penalty in front of their posts and Carter kicked the ball dead to end the game and launch the French celebrations.